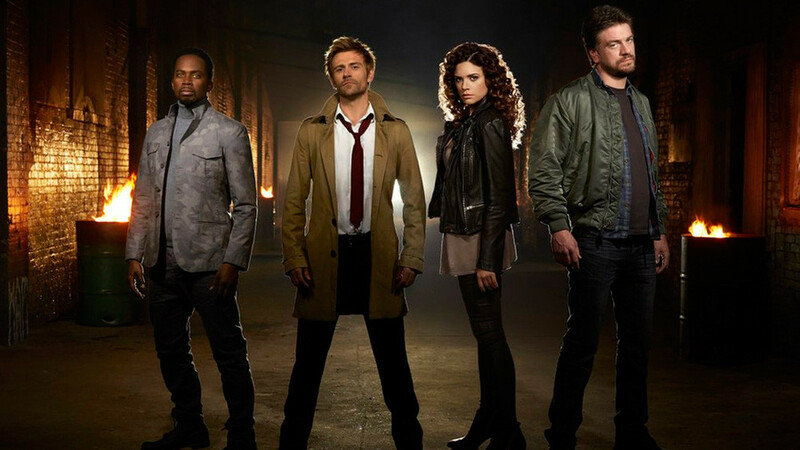 Despite a passionate social media campaign by fans, known collectively as 'Hellblazers,' and NBC's attempts to shop their cancelled supernatural drama to other outlets, showrunner Daniel Cerone confirmed the sad news on his twitter account that 'Constantine' is officially dead. Based on the Vertigo comic books series, the television drama starred Matt Ryan as the reluctant occultist and "master of the dark arts," John Constantine. Accompanied by Zed (Angelica Celaya), Chas (Charles Halford) and the angel Manny (Harold Perrineau) they fought the forces of darkness from destroying humanity. While the show seemed faithful to the source material and proved popular among genre fans, the network never seemed to show confidence in the show. Instead of allowing the drama to find an audience as they have with other programs, NBC cut the season order from 22 to only 13 episodes, changed its timeslot from 10 p.m. to 8 p.m. on Friday nights and provided little promotion. With millions of people watching its broadcast of the Super Bowl back in February, Constantine was not among the NBC shows that got promos that night. Not surprisingly, some of the network's biggest hits got spots like The Voice and The Blacklist. What was surprising was that amid the shows that got promos, including a variety show hosted by Neil Patrick Harris that doesn't air until next season, the show that could have used more exposure and was on the schedule at the time was Constantine. The generic spy thriller Allegiance who received a coveted Super Bowl spot was pulled from the schedule after only 5 episodes a month later. Cerone mentions in his statement that the studio tried to find a new home for the show but could not. Previous trade reports included Syfy and The CW as possible homes but those talks apparently didn't pan out. The CW in particular, appeared like a natural destination considering the number of DC Comics show already on the network - Arrow, The Flash, and another Vertigo adaptation, iZombie. It also has a team-up show in Legends of Tomorrow coming up featuring some of the characters from those shows. Stephen Amell, who stars as Oliver Queen on Arrow, even welcomed a crossover episode with John Constantine on Twitter if they got picked up. Alas, it was not enough to salvage the show. It will now reside in television heaven along with other prematurely cancelled shows like Firefly, Almost Human, Dollhouse, and a myriad of others. John Constantine may not grace our TV screens, but hopefully the big screen version of Justice League Dark with him in DC's magical universe Guillermo del Toro is supposedly working on will come to fruition. 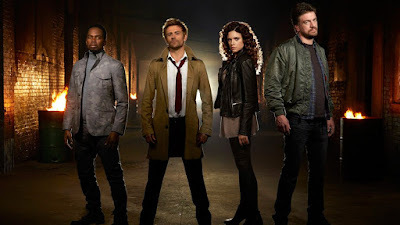 In the meantime, we'll miss the cast and crew of NBC's Constantine. I promised I'd share news when I had it -- sadly, that news is not good. 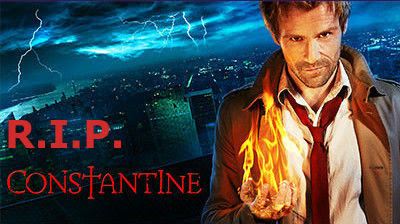 The cast and writers of Constantine are being released from their contracts. The studio tried to find a new home for the show, for which we're forever grateful, but those efforts didn't pan out. I'm sorry, I wasn't provided any information on the attempts to sell the show elsewhere. All I can report is that the show is over. As a general principle, writers don't choose a writing career to achieve stardom. Whatever demons or insecurities drove them to find freedom of expression through written words generally keeps writers comfortably obscure behind their words. Nor do people choose writing as a means to financial freedom. I'd venture to guess that most who set out to write professionally never receive a paycheck for their hopeful scribbles or key strokes. In fact, nobody I know ever chose a writing career -- it chose them. You write because that's what you do. Like breathing, it just happens and you have to do it and you just hope that someday somebody out there notices what you're trying to say. If that's the dream of writers, than the writers of Constantine lived the dream, because we're leaving behind wild and passionate fans who believe in and were moved by what we tried to do. To leave such a significant, dedicated and active fan base on the table -- that's the real sadness. You all deserve many years of the series we set out to make, and we're disappointed that we couldn't deliver that to you. The good news is that Constantine will live on for years in many more forms. But our time as caretakers has ended.